Puerto Rico's boating capital, Fajardo, is known both for its variety of boating activities and as a gateway to Vieques and Culebra Islands, but this place is more than just the sum of its marinas. A day trip to Fajardo will show you a picturesque national park, a breathtaking beach, terrific local food, and a magical nighttime excursion into a glow-in-the-dark bio bay, all easily accessible from Puerto Rico's capital of San Juan. If you're making a day trip from the city, try to leave in the morning to make the most of the daylight hours, including at least an hour for traffic delays and food stops, even though Fajardo is only about 40 miles away from San Juan's main airport. Once you arrive in Fajardo, it's best to start with the Cabezas de San Juan National Park, located on the eastern tip of the island and home to a 19th-century lighthouse. The park has stunning views of the Caribbean, El Yunque, and a variety of ecological environments and is a great place to have a mid-morning snack before you set out to the beach. From Cabezas de San Juan National Park, you'll then travel along Route 987 until you get to Seven Seas Beach, a beautiful public beach with full amenities and facilities, that was named after the seven different shades of blue-green in the water. Here you can swim in the warm Carribean waters, lay out on the beach, or enjoy a lunchtime picnic. Alternatively, if you want a change of pace from Puerto Rican cuisine, try Blue Iguana, widely considered to be one of the best Mexican restaurants on the island, or you could travel over to the local hot spot Pasión por el Fogón instead for some local fare. As the sun winds down, you can stay on the beach to check out the view or head over to the El Conquistador Resort and Golden Door Spa for gambling, spa treatments, or a round of golf to cap off your afternoon. 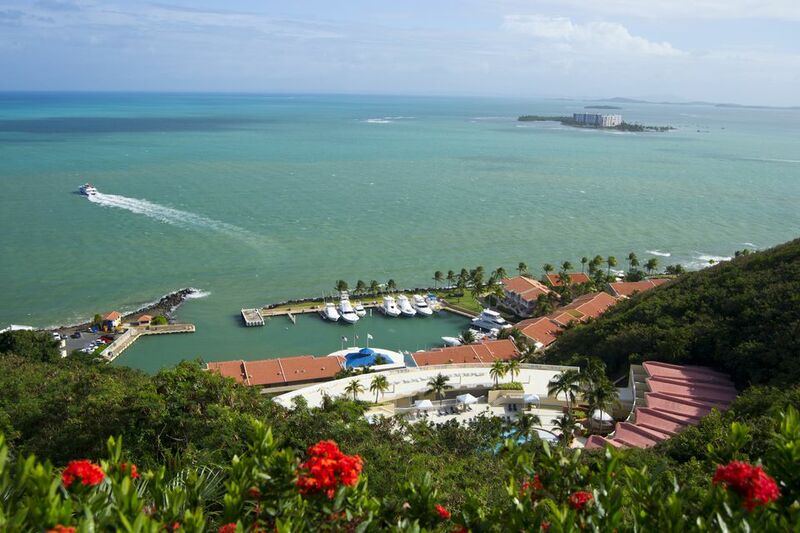 You can't leave Fajardo without visiting its natural gem: the bio bay. Although there are other bioluminescent bays on the island, including Vieques Biobay), Fajardo's is worth the trip for the chance to catch a glimpse of these fluorescent single-cell organisms at night. If you can, try to plan your trip around the new moon, when only stars and the bioluminescent organisms in the water will be visible. The best way to see them, whenever you do, is by kayak, and several companies like Yokahú Kayak Trips will take you on a tour of the bay or allow you to rent a kayak to go by yourself. Visitors can no longer jump into the water and paddle around, watching the water around them glowing bright green, but they can dip their hands in and watch the neon effect of their oars in the water. The glowing phenomenon, incidentally, is the result of millions of tiny single-celled organisms called dinoflagellates, which release energy in the form of light. When you're done, head back toward San Juan along Route 3, but be sure to stop by the Kiosks, a continuous string of roughly 75 stands that sell all manner of crispy snacks, fritters, and turnovers, along with cheap drinks and other foods—and they're open late! Going to Puerto Rico? You Don't Want to Miss These Places!